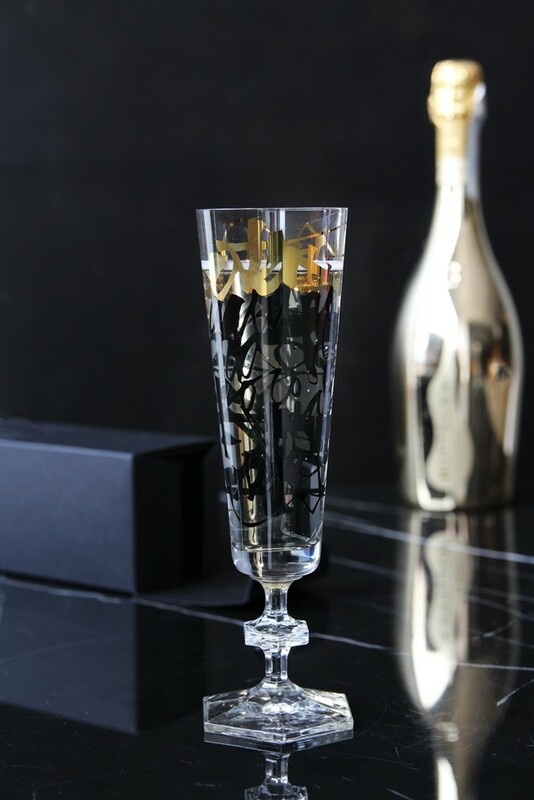 This champagne flute has been designed to celebrate Ritzenhoff's 25th Anniversary and is a great design to add something different to your glassware. Stylish and extravagant and classical - The hexagonal base is inspired by elegant cut-crystal glasses. 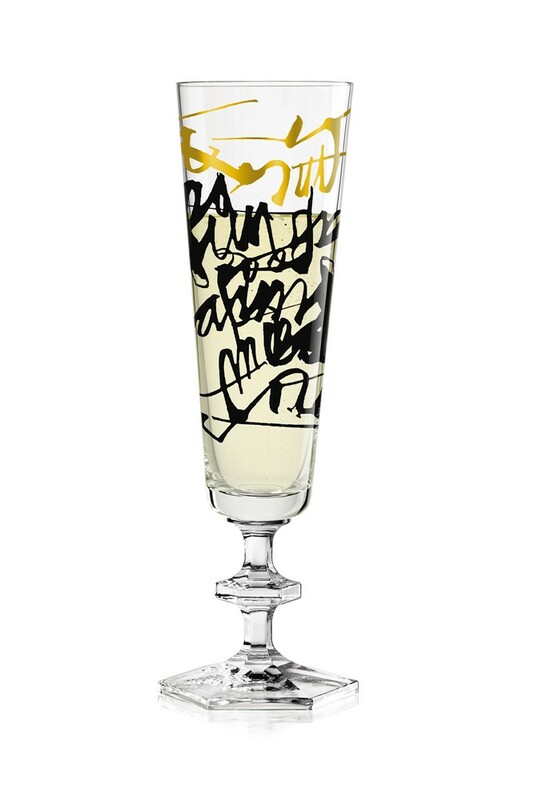 In pure black, ornate gold and platinum, each design is a perfect stylistic match for the sparkling beverage. Each glass in this beautiful range makes the perfect gift to any disconcerting design lover, an admirer of beautiful things or quaffer of a beverage or two! 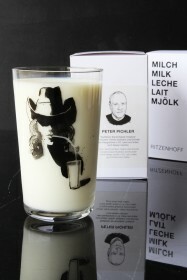 This collection is quite simply the modern designer collectables of our time. We have cherry-picked a selection of our favourite designs, including this one by Nerodiseppia. The designs of the Turin designers Marta Cortese and Anna D’Andrea are inspired by Italian painting, history and craftsmanship. 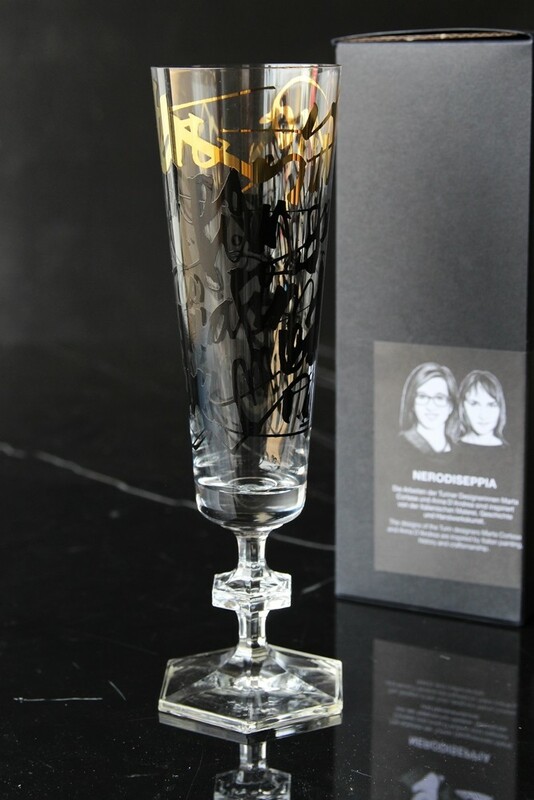 Nerodiseppia’s unique style combines Italian painting, history and craftsmanship with the individual hallmarks of the particular designer. All designs are based off hand-drawn sketches blending different techniques into a unique artwork, which D’Andrea refers to as “mixing colours and ideas”.